L.M. 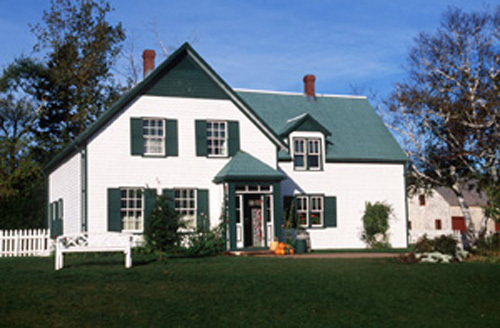 Montgomery’s Cavendish National Historic Site is a cultural landscape that embraces the landscape near Cavendish, Prince Edward Island, that author L. M. Montgomery knew so well and made famous in her “Anne of Green Gables” books. The designated area includes the Green Gables house, Montgomery’s Cavendish home, and several landscape features such as the Haunted Wood Trail, Balsam Hollow Trail and Lover’s Lane, dear to Montgomery and familiar to her readers. - many places in this landscape of rolling farm fields and wooded groves and paths were dear to her and have continued to hold special meaning for generations of her admirers. L.M. Montgomery’s Cavendish National Historic Site embraces two segments of a cultural landscape intimately associated with the author: one is the farm of Montgomery’s maternal grandparents where she lived for the first 37 years of her life. This farmscape incorporates the ruins of the house and farm buildings that existed in Montgomery’s time, as well as the wooded groves and pathways described in her stories. The second area encompasses Green Gables, the neighbouring farmstead which features in Montgomery’s most famous novel, "Anne of Green Gables" published in 1908, and includes the house in its natural setting with surroundings that inspired both her imagination and her fiction including the Haunted Wood Trail, the schoolhouse, Lover’s Lane, the Balsam Hollow Trail and the babbling brook. Together these landscapes evoke both Montgomery’s real life and the fictional world she created. The heritage value of L.M. Montgomery’s Cavendish National Historic Site resides in its evocation of L.M. Montgomery’s world – both real and imaginary – at the time of her most famous accomplishments. Its value lies in the physical properties of these two landscapes that both inspired Montgomery’s fiction, and give her fictional world a basis in reality. They include the sites and settings, buildings and landscape features that provided a backdrop for both Montgomery’s life and her literary work. Source: Historic Sites and Monuments Board of Canada, Minutes, Spring 1999, December 2003. - the continued ambience and well being of these features, particularly as landscape features are supported by the presence of specific varieties of vegetation and undisturbed spatial volumes. 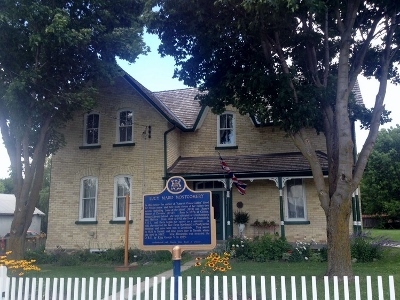 The Lucy Maud Montgomery Birthplace is a one-and-one-half storey vernacular cottage built to a centre hall plan with a kitchen ell addition located in New London. The Senator Donald Montgomery House is a mid-Victorian, carpenter gothic Island ell farmhouse located in the rural community of Park Corner, Prince Edward Island.